I could be really lazy and just re-blog last years postcard. 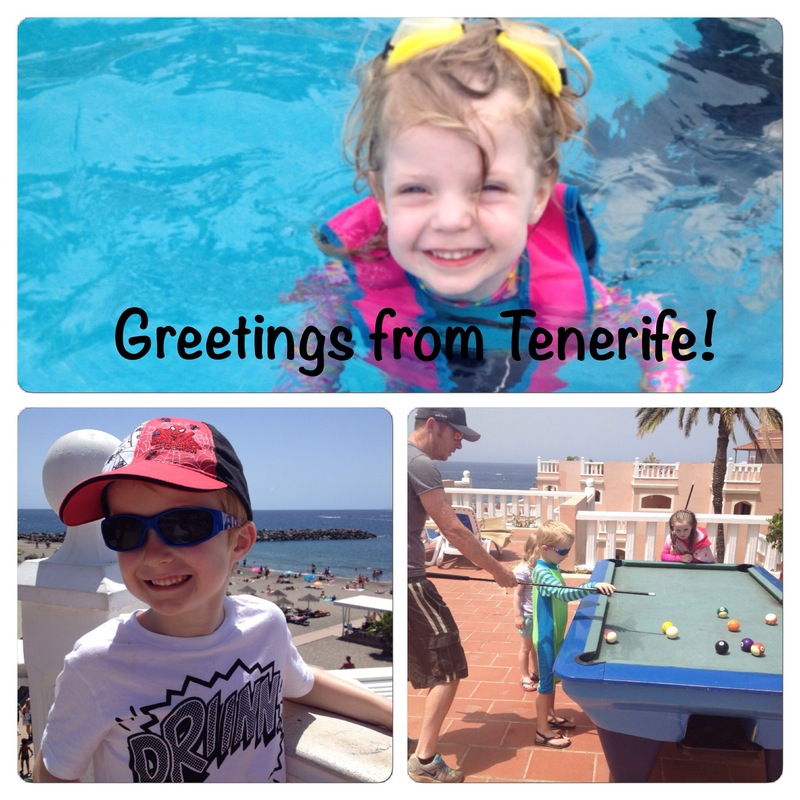 We are in Tenerife again. Equivalent dates as last year and same hotel. However, while the surroundings are the same we are all a year older. Doesn’t mean too much to me and my hubby (bar a few extra lines and grey hairs) but for the kids it makes a world of difference. We are having our first buggy free family holiday since having kids. Every time one child finished needing a buggy the next was still well attached to theirs. Now my baby, who is nearly four, is done with hers. We still have it. She still uses it from time to time at home but we made the decision not to bring it. I am happy and sad in equal measure. We are having a blast. There is swimming, sand castle building, eating and drinking. There were water park days out and a boat trip still to come. As I sit typing this, drinking sangria and watching the sun go down as the waves crash on the volcanic sand beach it’s hard to believe there is a reality to return to. We will be back to greener shores next week where normal service will resume. 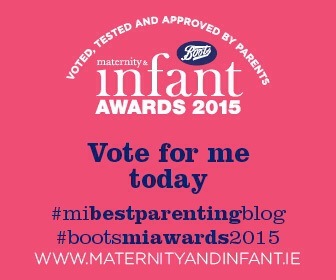 In the meantime my giveaway is still open so get your entry in quick and also if you missed my announcement on my Facebook page I’m up for Best Parenting Blog in the Boots Maternity and Infant awards. I’d love if you could click right here to vote. Oh enjoy, I miss the sangria. Sit back and have another for me! Lovely to hear from you! Enjoy the rest of your holidays. It looks like you’re all having a wonderful time!